Notice to all Students of Akwa Ibom State University (AKSU) who are yet to pay their school fees between 2010 and 2014 academic session. 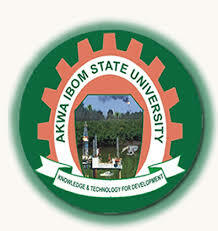 The Vice-chancellor of Akwa Ibom State University‬ has considered requests by some students to pay outstanding school fees owed between 2010 and 2014 academic session, which they failed to pay, before the introduction of the e-payment platform by the university. The Bank draft should be submitted to the Bursar for issuance of official receipt. Note that Student Name, Department, Matric Nos, Present Year of Study and Phone nos MUST be written at the back of the Bank draft before submission to the Bursar. All concerned students are advised to take advantage of this opportunity to clear ALL outstanding school fees indebtedness and be duly cleared BEFORE the forthcoming semester examinations.